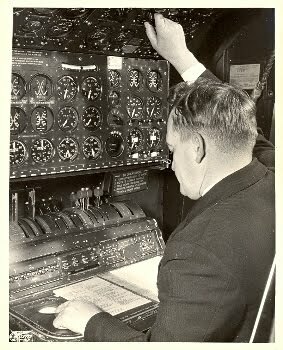 I have always had an interest in navigating (Pre Electronic era) and flying over the pole, or "Over The Top". I found this interesting article written in the April 25, 1958 edition of Flight Global. L.I 649As, have been able to follow suit from Paris. Until B.O.A.C. disturbing to find that you have reached Tokyo at 11.30 a.m.
Frontenac, the latest and last of the company's fleet of ten L. 1649As. Anchorage in Alaska to Tokyo. are a gay, Picasso-like riot of pattern and colour. the East Anglian coastline and east of the Shetlands. noise and vibration at all oppressive. finished at about 0030 G.M.T. on the 11th. —about latitude 75 deg N. My special sunrise then disappeared. and glaciers of Grant Land in the twilight. fuel consumption had proved fully satisfactory. down the other side of the world. in relation to the time it takes to cover that distance in a private car. no Eskimo band to play us phoqne-sangs on their sealskin guitars. into the control tower to enjoy a view of his home-town and surroundings. over 13,250 flying hours' experience logged. probably enjoying a late breakfast. with him a little later, and asked why he had stopped this engine. —it was still signalling whilst I was in the cockpit with him. 14,000ft, and we were running a little slower into a medium headwind. run, and for the whole of the Anchorage - Tokyo section. polar-path gyro compass is supplemented by several other aids. interference at certain times of the year. whether he is worried by a multiplicity of landings and take-offs. a meaty affair—with, of course, champagne. Our approach to Tokyo was marred by an overcast at 2,500ft, . the present main S.E./N.W. strip of 9,600ft. About 1 l,000-12,000ft ;. is suggested for the new one, but to accommodate it the island on "
and Air France had certainly done us proud in every possible way. —that the window is open. 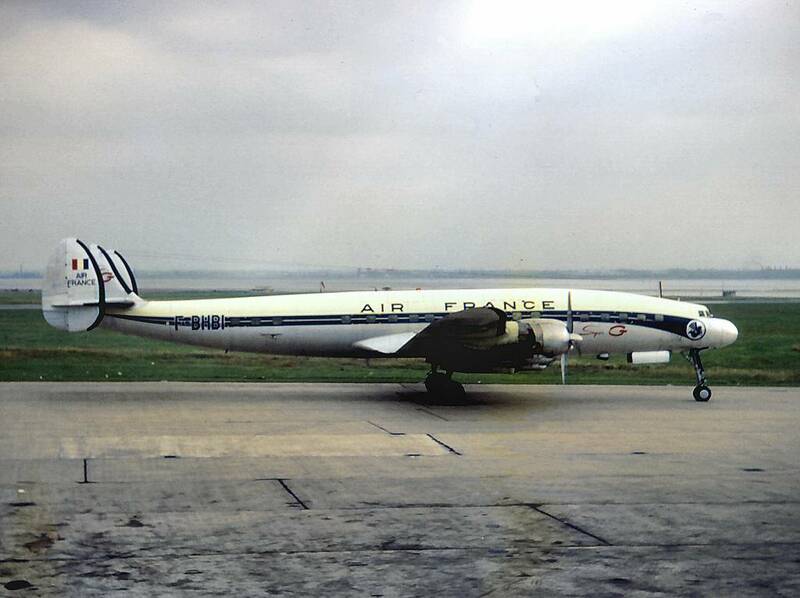 Aircraft F-BHBT was broken up at Orly in August 1967. Photo at top is of Air France L-1049G F-BHBI and NOT L-1649A F-BHBT !! 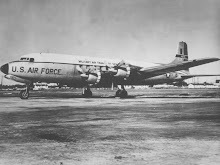 Some of the other photos are actually of non-AF Connies, but still interesting. 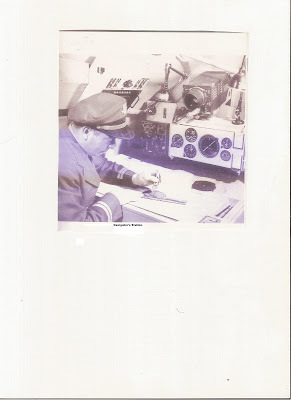 The F/E appears to be studying his Sperry engine analyzer, however, he would be observing nothing more than a bright dot because none of the engines are actually running! !